I like this rug but not as much as I though I would. The colors are not nearly as vibrant as in the picture, more muted. The weave is a little looser than I expected. It has a very casual vibe. Overall, a nice rug for the price. It may be my fault for not making sure the rug was washable before I purchased it, but I was shocked how faded, discolored and stiff it became after I washed it. 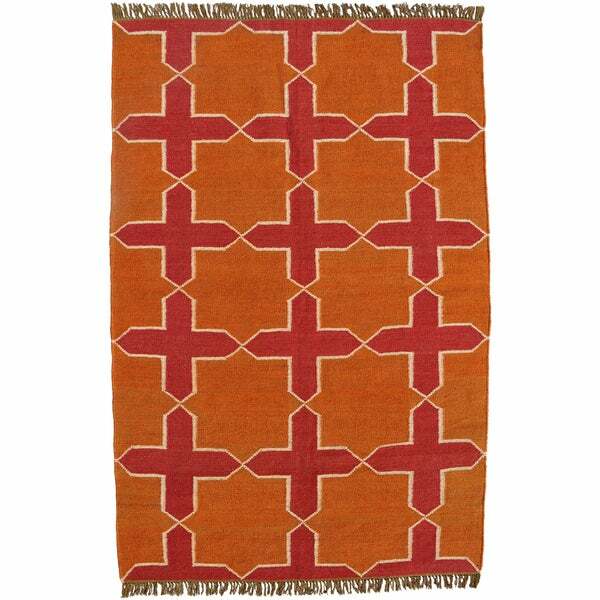 I have other flat weave rugs that I purchased from Overstock that are fully washable. I use these rugs in the kitchen by the back door, where lots of dirt gets tracked in, so I need to be able to regularly and thoroughly clean the rugs. I will be throwing this one away, because it is now an unsightly mess. A perfect selection for our need. A beautiful rug at a great price. True to its description. The company also certifies that their rugs are made with no child labor. "Is the rug size a true 6 X 9?" Hello Marsbound, yes, this rug is true to size. Thanks for shopping with us!